The oft-uttered phrase is more than just a funny saying; it’s a way of life for some. If you’re happy or sad, shopping will be there to hold your hand. Nothing can wipe my tears like retail therapy. Visions of Manolo Blahniks and Dior glasses float through my head on a per hour basis but alas my last name is not Hilton and let’s be real here, I can’t exactly take public transit and wear three-hundred-dollar strappys now, can I? So how is it that I garnered a full day of compliments on a red dress I wore and all it cost me was a measly $12.99 (pause for applause)? Shopping isn’t about wandering into a store and rifling through racks, there is a method to it: an ounce of planning can save you precious time, money or best of all, an expensive ‘no refund’ mistake. 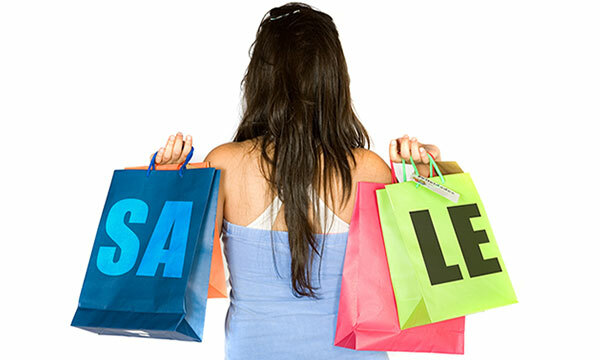 Shopping, like any other avenue in life that you want to excel in, takes research and planning. We all live busy lives and shopping, although an activity that should be counted as exercise (have you seen the size of some malls, that’s some serious walking) is generally considered something we do on a “want to do” basis. No justification is required. Whatever the reason, if we want something, we get it, and getting a deal makes it that much sweeter. When the item of our affection is determined, that’s when the browsing starts. The search process should start before you even hit the shops, browse through magazines, newspapers, websites and your friend’s belongings. I go a step farther by visiting mall websites — sometimes they have direct links to various stores within the mall that feature their gear on the store’s websites, and so I know which stores are worth stopping by. This should give you an idea of stores and price ranges that suit your particular object and budget. Don’t get me wrong, there is absolutely nothing wrong in stepping out to shop with no real idea of what you’re looking for. We all need some adventure in our lives and the shopping adventure can be quite strenuous — talk to any girl who has shopped at outlet stores and availed massive discounts on Boxing Day. These are usually the places where logic comes into play, and if money can be saved on something you know you’ll need down the road, why not buy it at a good price and have it ready for the occasion? So we’ve established shopping requires research, planning, logic and a sense of adventure — skills strongly transferable to every aspect of life. We now come to the ‘why.’ Why is shopping something that everyone does whether they love it or hate it? It allows us to find things that help us to express ourselves and reflect our chosen image. There is nothing wrong in investing a little time to look impressive, which gives you added confidence before you’ve even uttered a word.